The latest in universal technology, compatible with over 97% of direct TPMS enabled vehicles. Our workshop tools provide everything reequired to quickly and effectively remove, service and install TPMS sensors. REMA TIP TOP offers a comprehensive range of TPMS Diagnostic Tools, manufactured by market-leader: ATEQ. 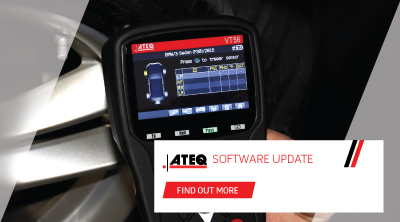 TPMS tool specialists, ATEQ are proud to present their latest software release for the VT56.